Editors Kona Morris, K. Scott Forman, and Nancy Stohlman have featured twenty stories in the premiere edition of the flash fiction anthology, Fast Forward, including work from prize-winning flash fiction writer Linh Dinh, Bobbie Louise Hawkins, Barbara Henning, Andrew Wille, Nicholas Michael Ravnikar, Megan Burns, and many up-and-coming writers. Flash fiction is a new and rapidly growing genre, and each of the twenty stories featured are less than 1,000 words. Flash fiction adheres to the rules of fiction writing, including plot, characterization, and story arc, but delivers within a condensed length. Fast Forward: A Collection of Flash Fiction - Volume One was nominated for a 2008 Colorado Book Award. Between the covers of Fast Forward: A Collection of Flash Fiction - Volume Two can be found the best writing under 1,000 words published anywhere in 2009. This collection has sixty-two stories, over forty more than the first volume, that vary between light and dark humor to more serious literary fiction, along with selections that do not fit into a single theme, but truly encompass the genre of flash fiction. Some of the best practitioners of the art, including award winning author Jayne Anne Phillips,Linh Dinh, Bobbie Louise Hawkins, Barbara Henning, Félix Calvino , Charles Rutter, Faye Kicknosway, William Haywood Henderson, and Christophe Casamassima, are joined by many other writers, accomplished and emerging, from around the world. 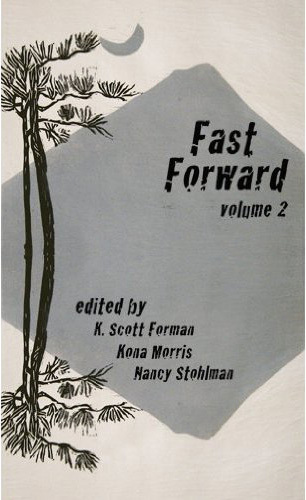 Fast Forward: A Collection of Flash Fiction - Volume Two was nominated for a 2009 Colorado Book Award. 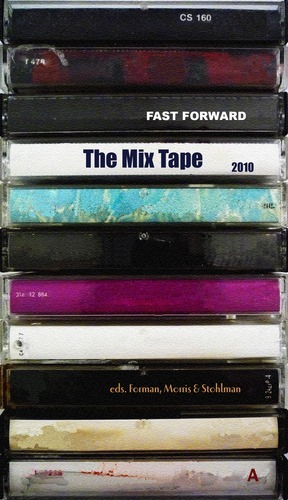 The stories in the latest anthology, Fast Forward: The Mix Tape, range from under 100 words to 1,000 words. In The Mix Tape, masters of the genre such as Linh Dinh and Barbara Henning are mingled with talented newcomers like Bryan Jansing, Teresa Milbrodt, and Australian writer Félix Calvino. —Robert Shapard, editor of Flash Fiction Forward and Sudden Fiction series. 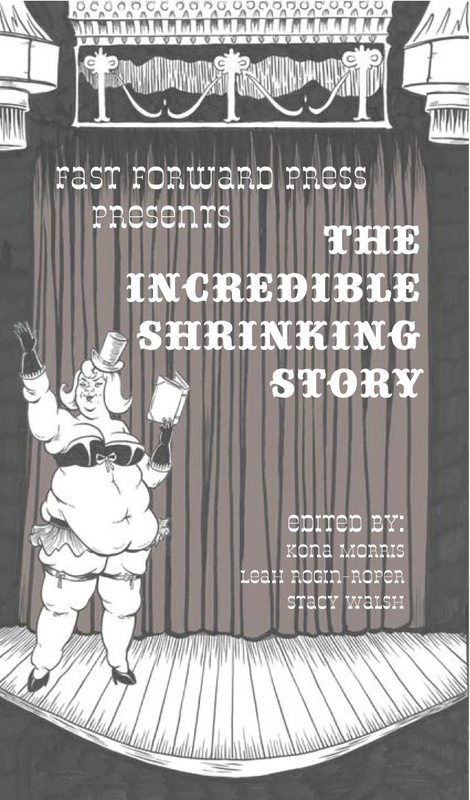 Ladies and Gentlemen, step right up to read The Incredible Shrinking Story, Fast Forward's fourth anthology of flash fiction. Enter a world of freaks and fantasies, literary contortionists and acrobats of language. This book contains 59 stories, ranging from 1,000 to 6 words, sure to tantalize and delight. More entertaining than a 3-ring circus and sexier than an orge in a funhouse. Dive in, we dare you. The brilliant cover artwork for The Incredible Shrinking Story was done by Chris Henry (hellochrishenry.com). The Incredible Shrinking Story is currently available to purchase at Powell's Books and Tattered Cover (303-322-7727), and will be available soon on Amazon.com and through SPD. Fast Forward Press is currently accepting submissions for its fifth volume of flash fiction, which is forthcoming in 2012. For more information about submitting or ordering copies of the book, please visit the website at: www.fastforwardpress.org.